The hearth of our fireplace is shaped like a bench. On this six foot wide platform, most days you will find a line of laundry baskets filled with the clean clothes we wear most often. I call them the Usual Suspects. Can’t find your pink tights? 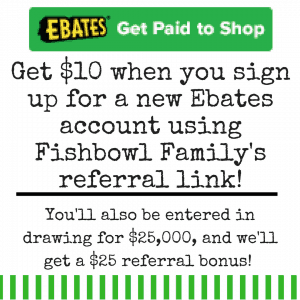 This post contains affiliate links which means that if you click on a link and make a purchase, I’ll receive compensation at no additional cost to you. Read our full disclosure policy. Look to the usual suspects and, much like the identity of Keyser Söze, it is often the last one you’d suspect. My wife sees these baskets in a more sinister light. They stand as her accusers. In vigilant and stolid repose, they wait to ruin good moods, morning quiet time, movie nights, and feelings of accomplishment. They are always ready to make the case that she has not done enough today. Yes, she prepared 16 meals today, did dishes, made 15 trips to take kids to potty, bandaged two scraped knees and salved a wounded ego… but she didn’t make time to deal with the sardonic hampers. I view the hampers as a mild annoyance. They are certainly not so great a problem to interrupt playing with the kids, reading a book, or watching ESPN (or really any other activity I enjoy). And yes, it is great being a dad. 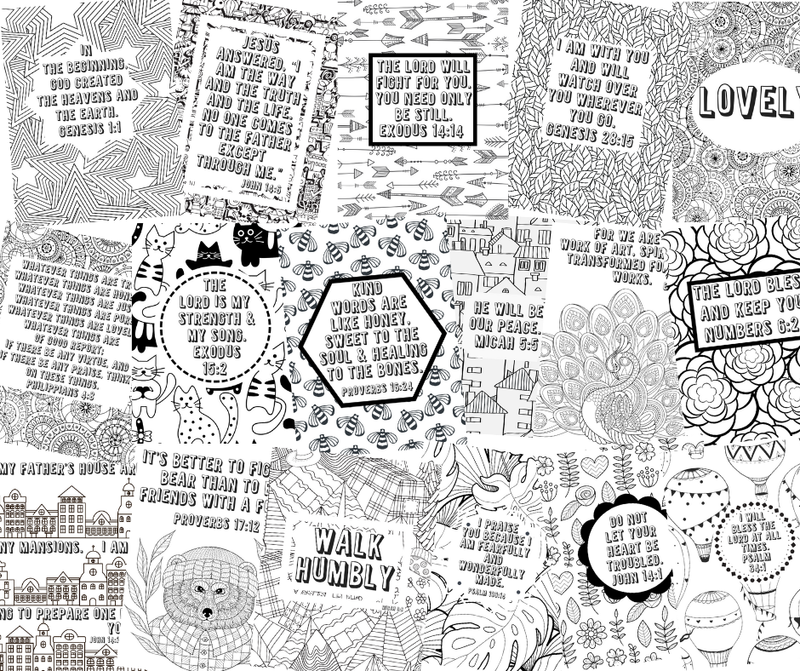 For her, they are a sign that she is floundering in the crashing waves of homemaking, mothering, and ministry. Recently I got to see the hampers from a different perspective. I mentioned to the mother of a friend, a woman who over the years has become a dear friend in her own right, that when we returned from a trip we would be greeted by Mt. Saint Laundry. She started to speak and stopped as if she was looking for the right words to say. She then asked if she could speak frankly with us. 1. Your home should exist for function – not beauty. Whether you live in a home you own, a property your rent, or an apartment above the sacristy, your home should be functional for your life. Muddy shoes aren’t a great thing to greet people by the front door, but if that is the place that functions best for your family, then that is the best place for them. You don’t have to have your winter coats and umbrellas out of sight, nor do they need to be arranged like a minimalist artistic installation. Put the coats on pegs by the front door and the umbrellas in a five-gallon bucket so they don’t mess up your hardwood floors. Yeah, there have to be some limits, but don’t arrange your home to please people who rarely see it at the expense of its usefulness to the people who always use it. 2. Your home reflects your priorities more than it reflects your character. An avid reader is likely to have shelves filled with books. They may have half a dozen open on tables around the house. If you have children, then there are going to be toys in their orbit. They are likely to be in the yard, their bedrooms, the living room, the car, and the bathtub. It isn’t necessary to hide them in canvas bins or storage ottomans any more than you should hide your books or your china. You have children for a season of life. So this probably isn’t the best season to start trying to be a minimalist. 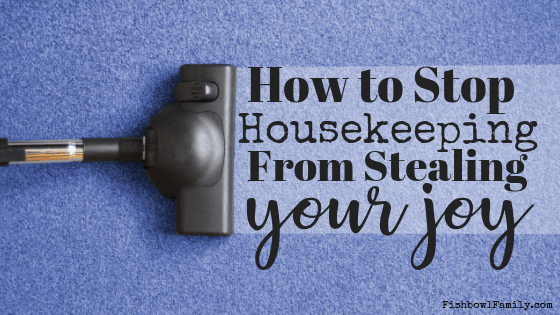 Make them get toys off the floor so you can mop and vacuum on occasion, but don’t be cowed into believing that having kids without evidence of them in your home is normal or desirable. Leaving a couple of toys out doesn’t show neglect or laziness. It shows maturity and acceptance of the season your life is in and the weather that comes along with it. 3. Your home should create intimacy not display perfection. Yeah, we love to see it in magazines and on television. But the home they show is unoccupied. Their little celebration with friends and family isn’t weeks later. No one’s home is always (or ever) that camera ready. So don’t pretend that yours is. Instead, let people come into your home and your life with the knowledge that neither is perfect. The Bible teaches a lot about hospitality. Biblical hospitality is about meeting people’s needs as an extension of godly love. The Bible never talks about making sure your home looks perfect. Jesus taught a lot about hospitality and set a pretty great example of it, and the message, again and again, is open your doors and set your table. It doesn’t matter if you prepare a gourmet feast or Totino’s Party Pizzas. Your goal is to get to know and show love for people. Jesus didn’t put an emphasis on cleanliness. Instead, He just consistently ate with people. Tax collectors, prostitutes, Pharisees, and fishermen. So make sure your house is clean enough to walk across the floor without stepping on Legos and start being hospitable. Shauna Niequist’s book Bread and Wine is a fantastic and inspiring work about inviting people into your real life, even when it’s not perfect. It is also filled with all the delicious recipes she uses when she entertains. It was said once, that the greatest trick the devil ever pulled is convincing the world that he didn’t exist. I would suggest that right behind that trick is convincing people that they need to be perfect. The only perfection we need or will ever have is given to us by Jesus. His grace is sufficient to erase our sins. It ought to erase our guilt as well so that we can experience true joy in the everyday living of our lives. 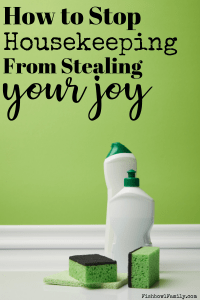 How do you stop housekeeping from stealing your joy? Tell us in the comments!